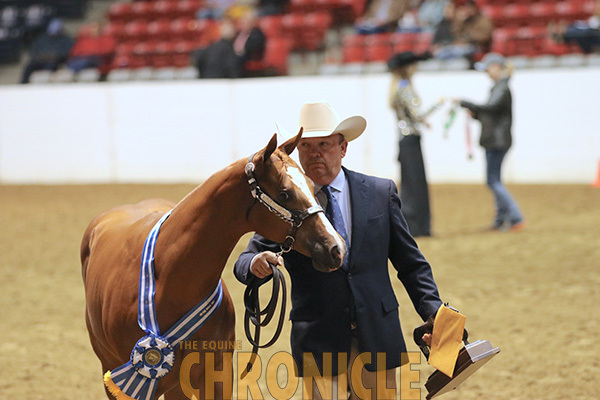 The World Conformation Horse Association is proud to announce that they will once again be hosting the WCHA Junior Weanling Classes at the AQHA Lucas Oil World Championship Show in Oklahoma City, OK later this fall. The 2019 event will be offered as a slot class with 20 slots offered for both Junior Weanling Fillies and 20 slots for the Junior Weanling Colts/Geldings. Each slot can be purchased at $500 per slot, sold on a first come basis prior to July 1st, 2019. If there are slots still available after July 1st, the fee will increase to $750 until September 15th. Your weanlings do not have to be named until this date as well. A junior weanling is considered any weanling foaled on or after March 1, 2019. Slots can be reassigned or resold. Anyone purchasing a slot in 2019 will have first right to purchase in subsequent years. Weanlings must be registered with AQHA and sired by a stallion nominated into the WCHA Breeders Futurity Program. The 2019 classes will have $5,000 added in each class thanks to the generosity of June Rhea, Kathy Smallwood, and Valentino for the Junior Weanling Filly class. 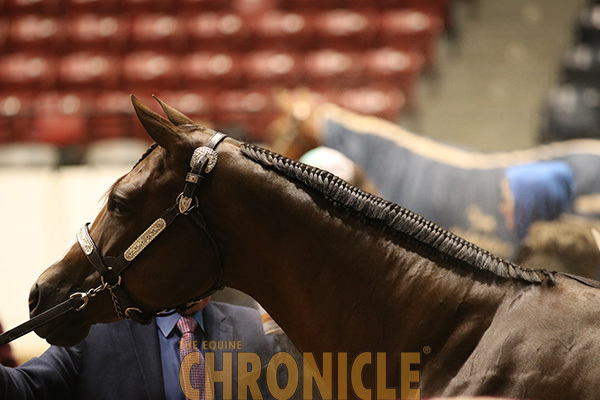 Terry and Stacey Kull of Kull Ranch is adding an additional $5,000 in the name of their stallion, KR Hes Xceptional, to the Junior Weanling Colt Class. “If all slots sell, and with the $10,000 in added monies, we have the potential of a $30,000 purse for two classes. We now create a WOW factor for these junior Classes in a great World Show venue,” Falcon explains. For more information about purchasing a WCHA Junior Weanling Slot, please contact the WCHA Office at office@conformationhorse.com or continually check the WCHA website for updated information, www.conformationhorse.com.